Xinjiang Uygur Autonomous Region is a place to make people slow down and enjoy life, a place to live with peace and quiet. With its vast land and beauty of its scenes, people here are far from noisy cities, keeping a natural land for local residents and tourists to explore. You can always see old people gather in tea house for chatting or resting. It is reported that a 127-year-old woman, the oldest in the world, has been discovered in Xinjiang Uygur Autonomous Region. Vast desert, great mountains, beautiful girls and sweet melon ...... all of these make Xinjiang a most desirable tourist destination. Here you can see the traditional program "girl chasing", young couple dancing in a bar, etc. 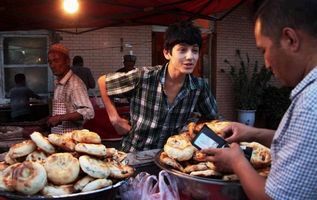 Kashgar or Kashi is an oasis county-level city with approximately 350,000 residents and is the westernmost Chinese city, located near the border with Tajikistan and Kyrgyzstan. 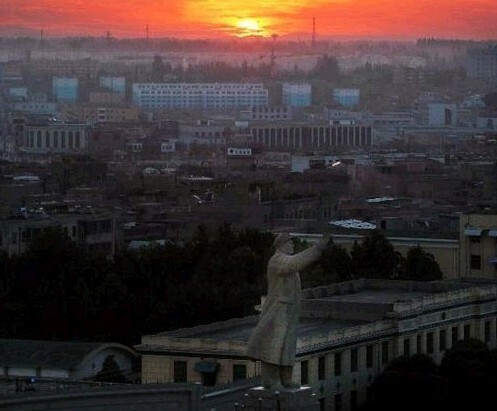 Its strategic crossroads location has seen it at the epicentre of cultural conflict and cooperation for over two millennia. 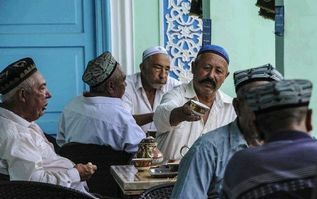 People alwayes drink tea at an old teahouse near the Id Kah Square in Kashgar, northwest China's Xinjiang Uygur Autonomous Region. With simple decoration, the teahouse is favored by the old of Uygur ethnic group. They usually enjoy drinking tea and chatting after every morning prayer. A 127-year-old woman, the oldest in the world, has been discovered in Xinjiang Uygur Autonomous Region, the Xinjiang Daily reported today. 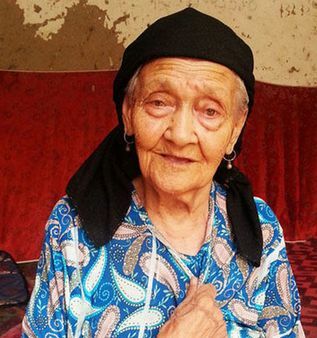 Although she is still waiting for global accreditation, Ali Mihan, from Shule County in Kashgar Prefecture, Xinjiang, has already been crowned the oldest person in the world after her predecessor Luo Meizhen passed away in July in Guangxi, south China.